About 5 months ago, literally just before the beginning of the new year, I made a post announcing to all that I would be trying my hand in the auto racing world, starting all the way from karting where I currently reside. The type of karting that I’m doing is called Road Racing, and it’s different from the karts you are used to, because we race on the same courses that auto racing takes place on, rather than purpose made sprint tracks for karts. Last weekend my first race of the year took place, at Summit Point’s Shenandoah Circuit. I entered with our newly refreshed and upgrade kart to take my first official win. I may have only had one other racer in my class, but we had a great battle and I managed to finish, something we’ve only done a few times before. Next race is June 13-14th at Summit Point’s Main circuit. If you’re in the area, come on out and watch the racing! 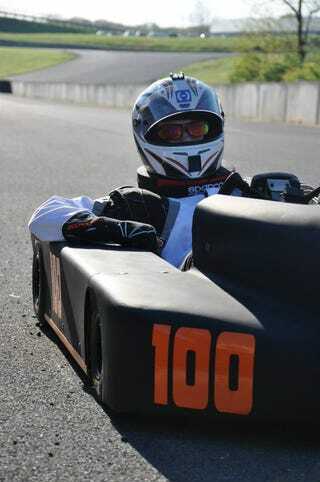 Find me and I can educate you on the karting we do, because you can get into it easier than you think! Until next time.